Welcome to the artful world of Japanese master embroiderer Reiko Mori, a place where embroidery embodies charm, grace, and true elegance. 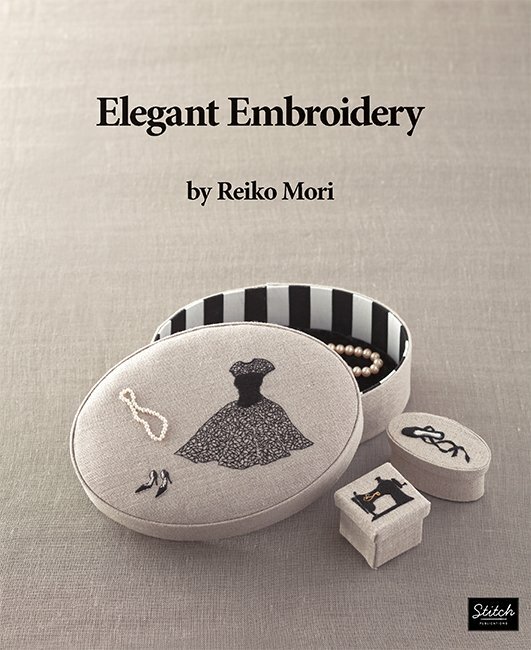 Welcome to the artful world of Japanese master embroiderer Reiko Mori, a place where embroidery embodies charm, grace, and true elegance. Choose from more than 40 picturesque motifs, many grouped into enchanting vignettes to mix and match; then use the motifs in 11 projects, including totes, fabric-covered boxes, and more. Learn 16 embroidery stitches to create designs for holidays (a wreath and tiny ornaments); seasons (chubby bees buzzing around dimensional daisies); and everyday occasions (an antique sewing machine and scissors). Themed chapters include flower, marine, and Christmas collections, as well as an assortment of Ms. Mori's signature black-on-linen designs. Embroidery enthusiasts will love re-creating this captivating collection.